I don’t know about you, but my children love playing games. They are always pulling out our card games and board games… and usually leaving half the pieces out of the box when they put them away! 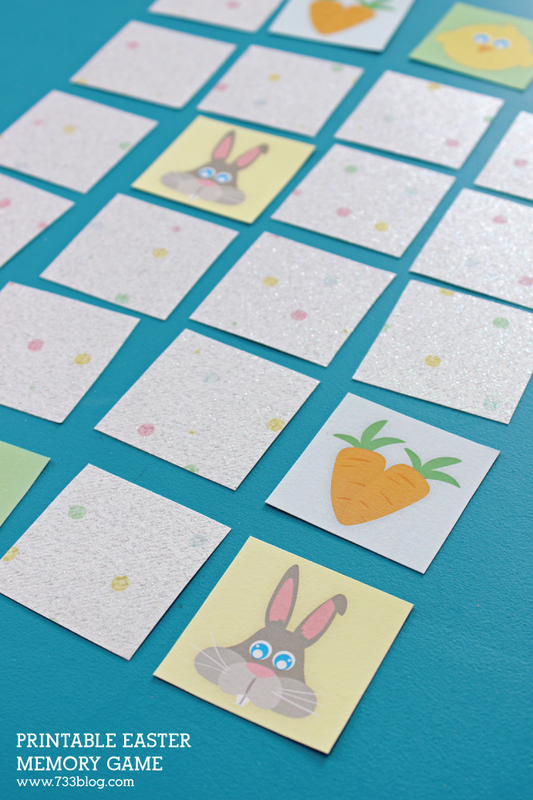 With Easter approaching I decided to whip them up a fun Easter Memory Game that they could play together. I designed the cards on my computer and printed them onto Glitter Paper so that they were super fun. The glitter paper is thick like cardstock, so they should hold up well, though I can easily laminate them to extend their life. Since I love my readers so much, I’ve made the game available as a free printable at the bottom of this post! Simply save the file to your computer and open in Adobe Reader. 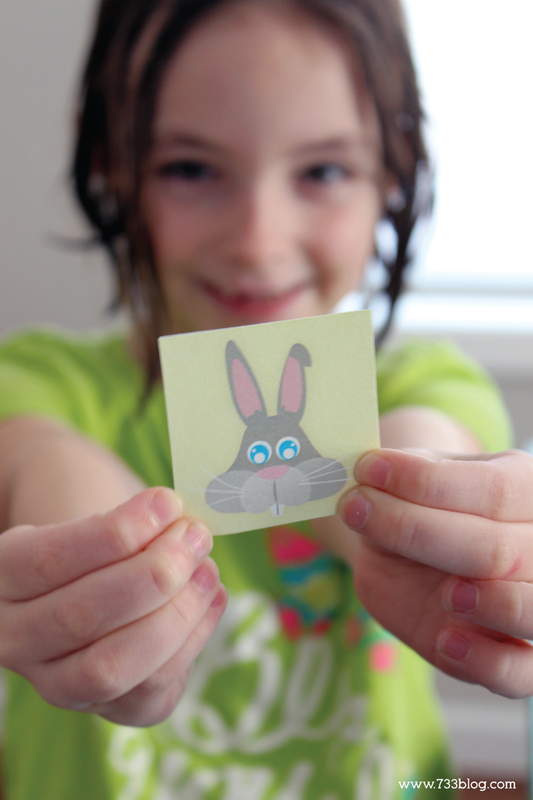 Choose to print double-sided from the print menu and print on to cardstock. Cut out each card. 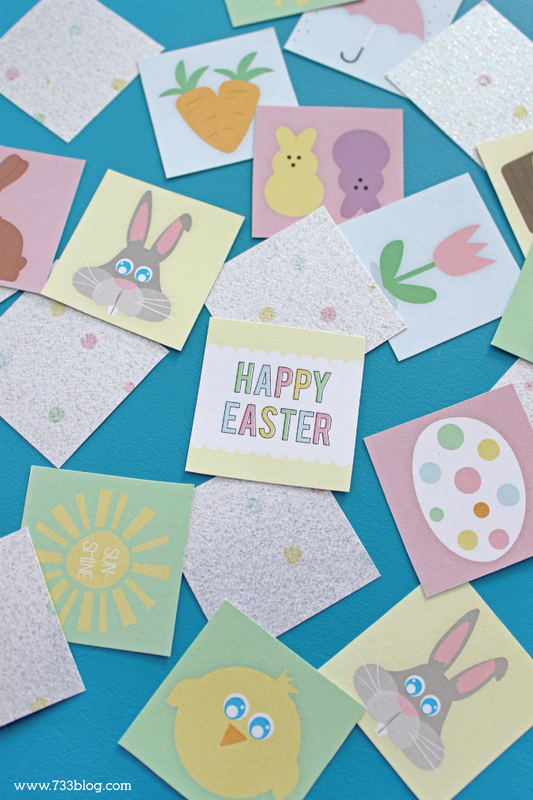 Mix up all the cards and then lay them on a solid surface in a grid pattern, face down. Players take turns flipping over two cards at a time. If a player gets a match, they get to go again. The player with the most matches at the end of the game wins! 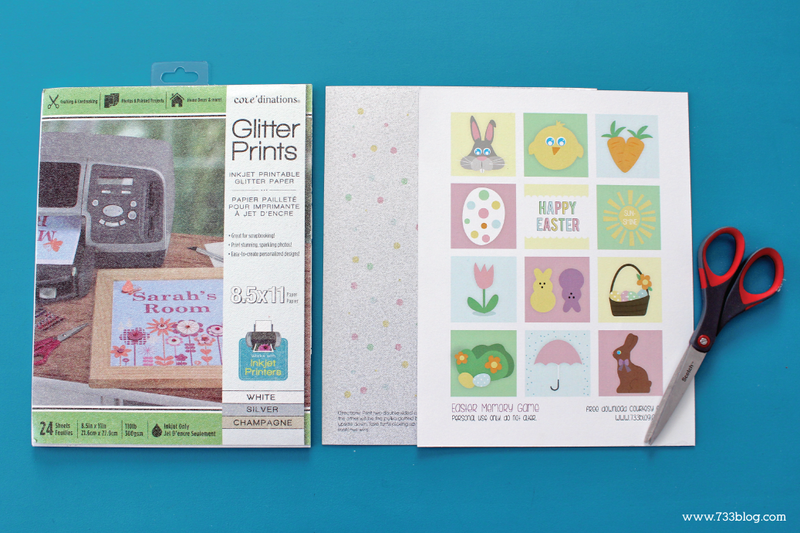 The cards feature fun Easter theme images such as an adorable rabbit, flowers, easter eggs and more. I hope you and your children have fun playing this classic children’s game! 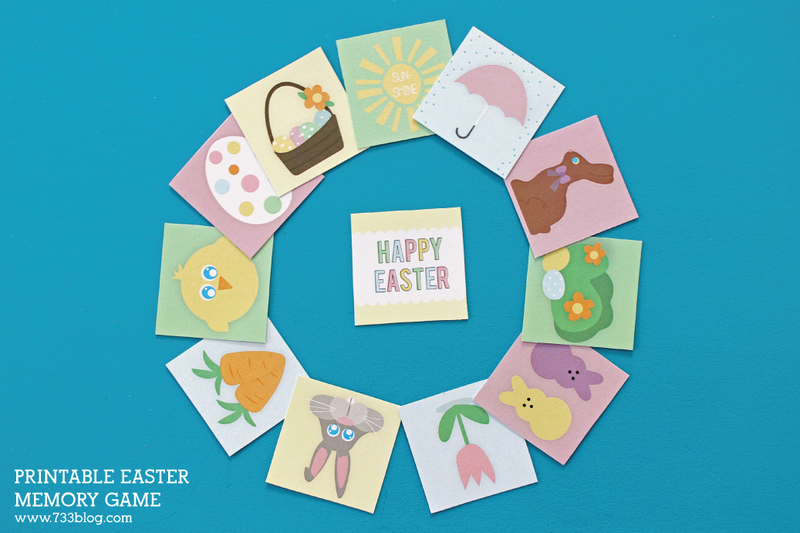 Download the Easter Memory Game. Personal use only. Do not alter. This post originally appeared on Crafts Unleashed, where I was a paid contributor, in March of 2016. I cannot get the Easter Memory Game to download from your link. Any ideas? Can you try again? I just tested it on two computers and it worked. Let me know!